What styler are you loving right now? What are you using on your brows lately? Tried any good co-washes lately? If you are a woman, chances are you have a bestie, sister, social media-friend, or colleague who you can go to with your hair and beauty questions. If not, you have enough media outlets, blogs, and YouTube channels to fill a million Google search results. If you're a man in America, not so much. Walk down the aisle of any drug store or supermarket and you'll find more BB creams, wrinkle serums and mascaras than any woman could use in a lifetime, and a minuscule selection of men's products. Sound familiar? This is what the hair care market used to be like for curlies back when NaturallyCurly was founded by two frustrated women with nowhere to go to for products or advice. It's a similar lack of representation and education that lead David Yi to leave his post at Mashable to launch Very Good Light, a website that's redefining masculinity and men's beauty standards. 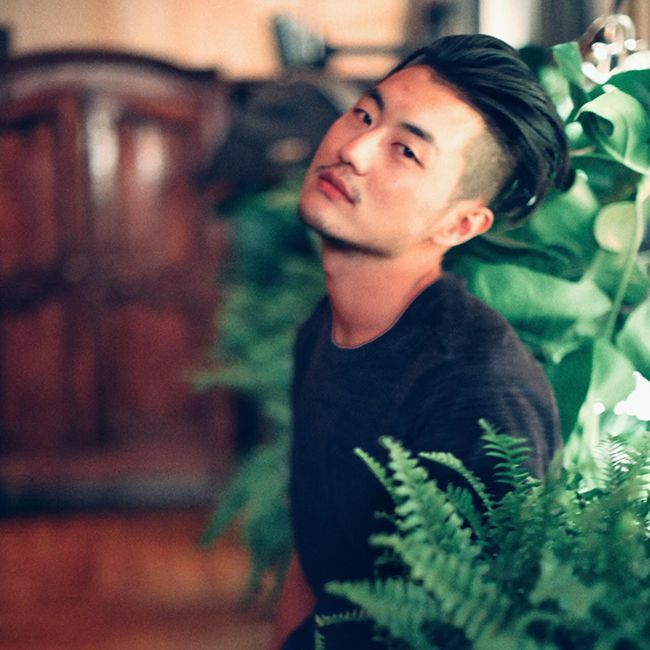 Growing up in a Korean household, Yi was exposed to the care and attention that his mother gave to her beauty regimen (and even his), and as a teenager struggled with meeting Western ideals of masculinity. I got to ask Mr. Yi about the differences he sees between men's beauty routines in Korea and America. I read that growing up your mother would give you facials. How do you feel your perspective on beauty was shaped growing up in a Korean household? Beauty was always a part of our household, whether it was my mother instructing me to put the mandatory SPF before school, or learning to cleanse your skin before bed. Beauty, she knew, was more than just products you lather on yourself. It's the first step in embracing your identity, loving who you are, and becoming more secure in your own skin. What major differences do you see between Korean and American men’s skincare routines? There's a huge difference between how men in Korea and in the States view skincare and grooming. Where Korea is all about prevention, the U.S. is all about reaction. American men start using skincare products when they see their first wrinkle, a blemish, or dark circles. Skincare isn't about having a good complexion, rather, about solving a problem. In South Korea, it's all about pampering and looking your best every single day. So instead of being horrified at getting older, it's about ensuring you have the best chance at maintaining how you look for as long as possible. Korean men are also more experimental when it comes to their own regimen. It's no secret that BB creams and eyeliner or makeup is now targeted towards a male audience since they're now the biggest consumers. How are the product offerings different in Korea and the US? Korea is light years ahead of the States when it comes to skincare and beauty products. BB cream has been readily used since the early 2000's. In the States, men are just realizing that BB cream is something that now exists. There's a vast array of concealers, makeup, to skin products for men's skin. Here in the states, it's been largely about how to do a careful song and dance so as not to disrupt a man's own masculinity. Thus, beard oils and shaving creams, these "ultra-manly" constructs have been the way marketers are getting to guys. But this is quickly coming to an end as beards aren't as popular and American men are waking up and seeing that skincare doesn't make them effeminate at all. It isn't about masking what you don't like, rather, enhancing what God gave you. What differences do you see in hair care routines? We're seeing that Korean hair is extremely diverse, though, it comes mostly in the form of being coarse, super straight, and thick. Korean men express themselves through hair color, perms and outre cuts. It isn't a surprise. Korea is mostly a homogenous country, and to really stick out, Korean men know that their hair is an easy way to differentiate themselves from one person to another. In the States, hair is mostly about form and function. Keep it short, tight, and you're good to go. If you're younger and want to express your bohemian self, you'll go for a man bun. But like beards, they are going out of style (well, in my opinion, they died in 2014! ), and extinct. You launched Very Good Light because you weren’t finding enough education out there for men. NaturallyCurly came from very similar origins. How are men learning and talking about beauty in America today, and how would you like to see that change? Men are finally realizing that beauty isn't something to fear. Just as you'd brush your teeth in the morning, you'd want to douse your skin with SPF or serums. Masculinity, as we've seen, is so fragile. I think that the new generation of teens and young Millennials are finally challenging what it means to be a modern-day man and deconstructing these very harmful notions that men have to be hypermasculine. It's refreshing to know that the world is evolving for the better and young people are leading that charge. How do you see men’s opinions on beauty and hair care changing right now? Is the Korean outlook of placing value on beauty and presentation becoming more prevalent now? Men are super into their hair. They may not care about their skin (just yet!) or about body grooming, but hair? They LOVE their hair! They want to know how to get the best hair cut, what the best products are, and how to deal with hair loss. It's just like Samson in the Bible – they find their strength by how their hair looks. Now more than ever, they want more information and it's readily available at their fingertips. With a scroll of their finger they can be exposed to a world of information from their iPhones. The Korean outlook is definitely becoming more of the norm. Beauty isn't going away. One only need look at this $26 billion global grooming industry to see just how big it's gotten and how much more massive it'll become.